who combined their talents to host NARAM-52 and Regional Competitions in Colorado. 2010 Peak City and all the rocketeers of Colorado hosted the 2010 NARAM-52 (52nd National Association of Rocketry Annual Meet) which was a Tribute to William S. Roe. The event was held at the S.C.O.R.E. (Section #632) launch site which is located on the Hudson Ranch 17 miles SW of Pueblo, CO. The official dates were from July 30 (friday) through August 6 (friday), 2010 and the host hotel was the Pueblo Clarion Inn. 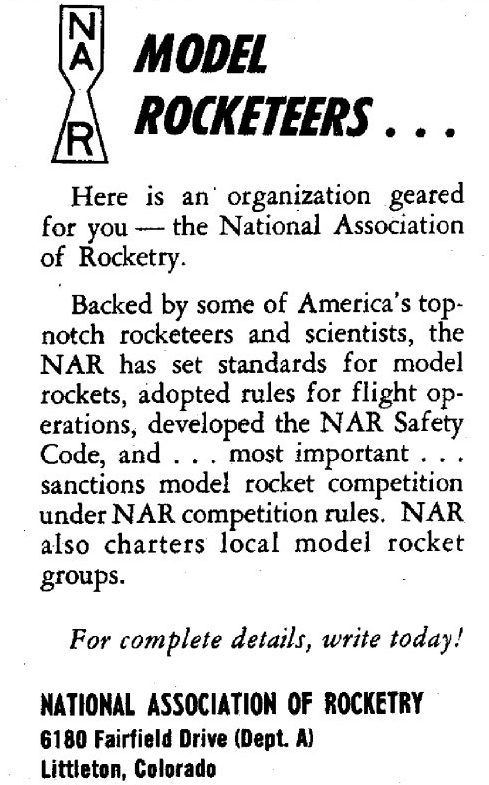 William S. Roe Jr. was instrumental in helping G. Harry Stine found of the NAR, was the original president of the Peak City Section, and was Contest Director at NARAM-2 (and NARAM-11). 50 years later we honored his memory. If you were a member of the original Mile-Hi or Peak City Sections, please let us know. John Roe informed us that his mom, Katherine Roe passed in March 22, 2011, 6 months after our NARAM-52 tribute to her and the family. William (Bill) S. Roe Jr.